my sweet old etcetera: How Novel, She's Reading Again. Have you ever loved a book as a child, and then returned to it years later, as an adult, and found that it didn't live up to your memories of it? This has happened to me with more than one book. Now, I have always been what you'd call a voracious reader. I know that not everything is going to live up to my expectation OR my memories, but I'll read anything for the pleasure of it -- well, almost anything. Mind you, I do stop short at mathematics textbooks and instruction manuals. But I will read mystery, nonfiction, romance, Twilight (yes, I went there), you name it. Just not math and instruction manuals, 'K? True story -- I don't leave the house without at least one novel tucked into my purse. Perhaps one of the reasons why I love the show "Gilmore Girls" so much is that I can identify with the character Rory -- she, too, always carried a book with her wherever she went. So as a child, I viewed libraries as hallowed places. Even the humble one in my parochial school growing up, with its tattered books yellowed with age and smelling of dust, even this library was special for me. It was in this library that I came across a book written in the 1950's, which to a little girl at the time (imagine now) felt like it was centuries old. 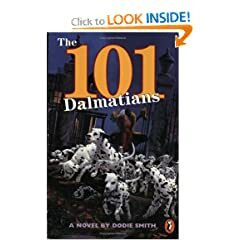 I recognized the title, 101 Dalmatians. The author had a funny name I'd never heard before: Dodie Smith. I'd seen the Disney film adaptation and was familiar with the premise -- two dalmatians must rescue their puppy children from Cruella de Vil, who kidnapped them and plans on killing them for their skins. Something about the book made me pick it up -- I remember it was a beigey, light orange color, hard-covered, and there was an illustration on the cover in pastel watercolor-like colors, of two dalmatians running down a country road. Curious, I picked the book up and thumbed my way to the first page. Something about the author's phrasing, the way she referred to Mr. and Mrs. Dearly as being "owned" by their dalmatians, tickled my interest. I decided to check it out. Why not? And I was eternally grateful that I did. The book was a perfect blend of humor, culture (it takes place in England), and suspense. It was the perfect book for a child. I remember curling up in bed under the covers after everyone else had gone to sleep and just reading reading reading, dying to know what would happen next, whether that devilish Cruella de Vil would get her way or whether Pongo and Missis would arrive in time and be able to escape with the puppies. It was an almost magical time, reading that book. I'm sure you've seen the film. I have and think it's OK. As with most film adaptations, the book is leagues better. At least, it was in my memory. 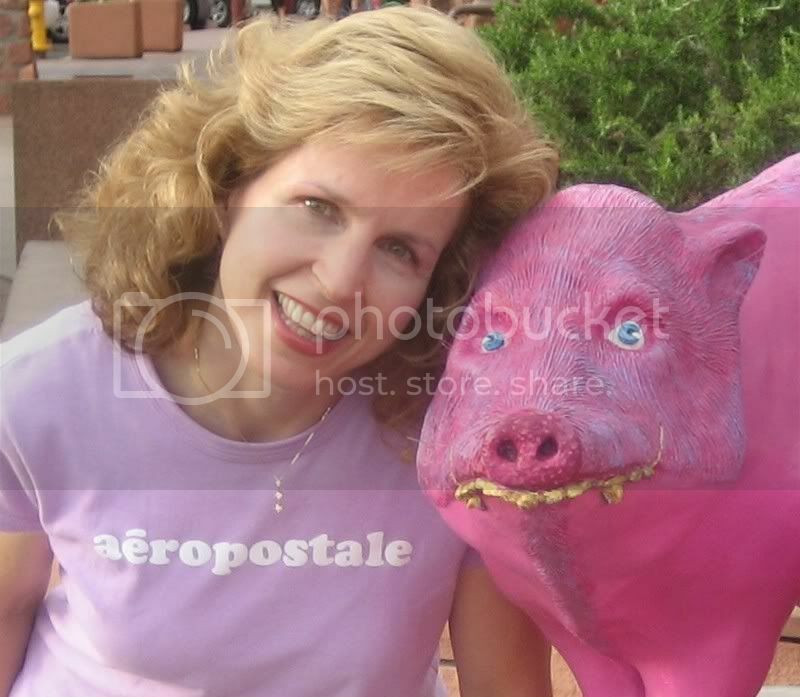 Flash forward 20-something years. (Gah, I'm old. Woe.) I see the book online, at Amazon.com. I begin to wonder if the book I loved so much as a child will live up to my memories of it. I add it to my Wish List, thinking why not, and lo and behold, it arrives for Christmas from the boyf. I read it again this week, putting it off almost an entire month. I think I was secretly scared of being disappointed. But I wasn't. If anything, I love it more now. I think it's because I get more of the humor now, which is surprisingly high-brow for a children's book. And the chase is just as exciting, the end just as thrilling, as it was the first time I read it all those years ago. I am such a fan of the author now, Dodie Smith, that I bought another book of hers yesterday at Barnes & Nobles. It's called I Capture the Castle. They made a small, independent (I think) film version of it, which I saw on TV and liked. I'm only a few chapters in, but so far it's marvelous. What a very good writer you are. I admire that so much. When I read this, it took me back to my own childhood and the thrill of walking through that library door. The smell of books to this day is my favorite smell. To me, that scent says adventure, romance, culture, basically a whole other world I could and can escape to for free. In fact, just tonight when I just couldn’t stand to look at the computer screen any longer, up I went, grabbed my purse and off to the bookstore for late night browsing, two hours before closing. Bliss. My childhood books were Where the Red Fern Grows and A wrinkle in Time. I always go back to them and yes, it just keeps getting better. Tierra: I love Where the Red Fern Grows! When I taught elementary school, I assigned that book to my sixth graders, who all loved that book. ''but I'll read anything for the pleasure of it -- well, almost anything. Mind you, I do stop short at mathematics textbooks and instruction manuals. ''lol!ME TOO! I carry a book with me, everywhere I go too. We need to meet and be real life friends.